You see, I have been trying to make up where I have failed thus far in my parenting, and yes, I do believe it is a failure. The Bible is clear that God expects from me, a Christian mother, Godly children (Mal 2:15). How can I be teaching them what Scripture ascribes if they aren’t learning any verses for memory? And let me tell you, they are at the age to memorize large amounts of facts. Why am I not tapping this for the Lord? I have already seen the effect of my Scripture memory from years ago as it has built a wall of Spiritual safety around me as an adult. There are verses that I memorized as a new Christian fresh out of high school that still come back to me for encouragement, reproof, correction, and peace. Memorizing scripture may seem tedious and boring, honestly there are times that it is. But the benefit comes when the storm clouds roll in and I stumble along my path of pain when James 1:2-8 plays through my mind as both encouragement and reproof for my whining. Or when a big task looms before me and I remember the study of the Israelites who returned from exile and neglected to rebuild the wall because they were way too concerned with their own homes. They were self-centered and self focused, neglecting the walled defense of their city and neglecting to build a house for the Lord. Nehemiah 4:6 looms up to encourage me to put my shoulder to the task and get your hands dirty. Nehemiah came along to encourage them to work together and be strong in their task, mostly in order to finish the house of the Lord for worship. They put their backs into it and built the wall in an amazingly short time…because the people had a mind to work. They are already cramming their heads full of information..make room for Scripture. You can start teaching your children memory verses now. Our 3-year-old slowly pecks through the verse we are working on, with much help, and only the smallest of verses. But he is learning! My logical minded son has them down in a day while my younger sons struggle for a few days till they have it down pat! We spend nearly a week on each verse, going line by line, together and individually. We will also run through the verses we have already memorized before moving on to a new one. Repetition is the key and putting verses to tune is a wonderful tool. Remember to go slowly, repeat it often, and allow for age/developmental issues. 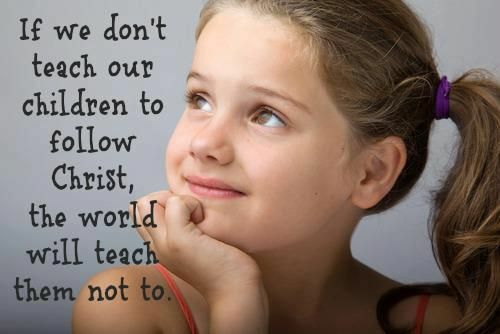 But do teach them. They are already cramming their heads full of information…make room for Scripture! We chose for our first memory work the Roman Road. Hubby chose this because in his occupation, explaining his faith and leading people through the Gospel is what he does almost daily. Help them to memorize God’s word and they will already be doing what the Bible says: keep the Word close to your mouth and heart. (Romans 10:8) Click on this link to download a PDF of the Roman Road to assist you in memorization. Agreed…now is the time for memorization as it is so much harder later. And I agree with daddy that the Roman Road is a good place to start. Yea, getting older has a few disadvantages. Memory being one of them. Or did we just get that from you folks?? 😉 I need to get the video done of Noah doing his thing. He is pretty cute at this!